In the case of upgrading, you have to know what type of memory installed in your machine. Capacity, Type, Speed etc. here you can see a simple trick to find all details of your memory. 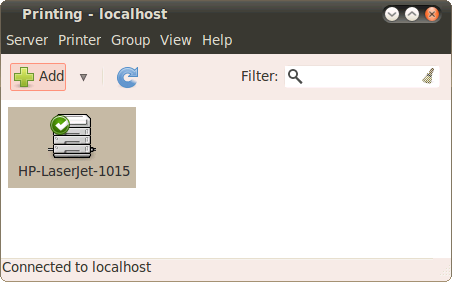 The location of Trash folder in old GNOME version is (~/.Trash), in current versions it is in ~/.local/share/Trash. There is two sub folders named files and info. The files folder contains the files deleted and info directory consists of meta data for each deleted file. 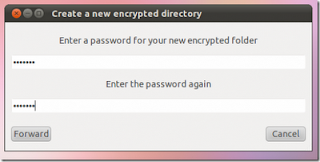 We can create Encrypted Folder in Ubuntu using Cryptkeeper. 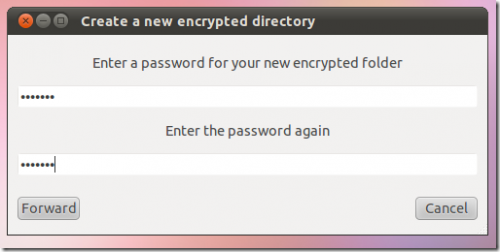 Cryptkeeper is a system tray applet for Linux that is designed to provide you with simplified options to create hidden encrypted directories. 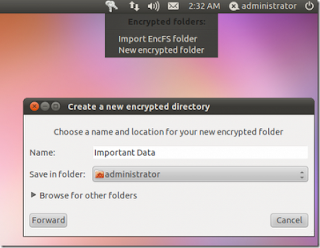 You can save your important data on the password-protected and encypted directories and access at any time by displaying a hidden folder option in the system tray. Vinux is a remastered version of the Ubuntu Linux Distribution optimized for visually impaired users. It provides a screen-reader, full-screen magnification and support for Braille displays out of the box! It can be run from a Live CD without making any changes to your hard drive. If you like it you can install it to a USB pendrive or to your hard drive either alongside Windows using the Virtual Version, or as a complete replacement for windows. A port represents an endpoint or "channel" for network communications. 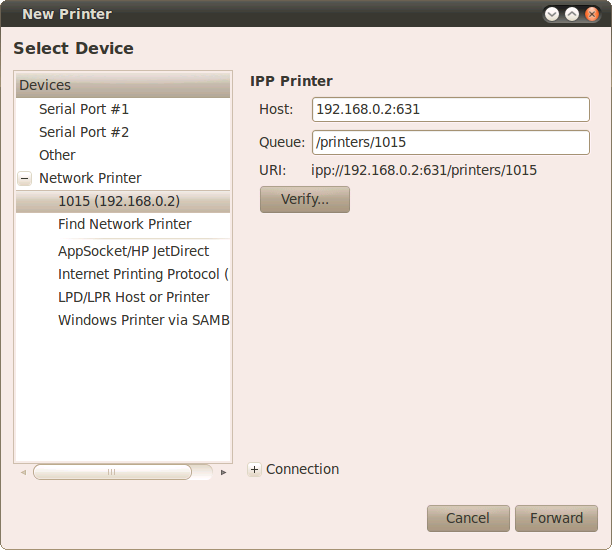 Port numbers allow different applications on the same computer to utilize network resources without interfering with each other. The purpose of ports is to differentiate multiple endpoints on a given network address. You could say that a port is a virtualised endpoint. This virtualisation makes possible multiple concurrent connections on a single network interface. A socket represents a single connection between two network applications. 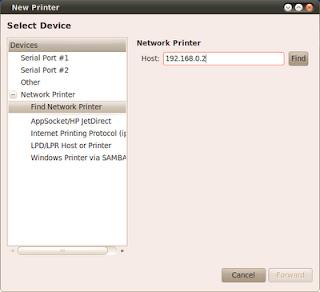 These two applications nominally run on different computers, but sockets can also be used for interprocess communication on a single computer. Applications can create multiple sockets for communicating with each other. Sockets are bidirectional, meaning that either side of the connection is capable of both sending and receiving data. Therefore a socket can be created theoretically at any level of the OSI model from 2 upwards. 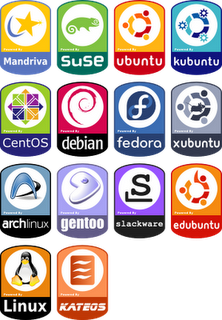 If you are a person that caught the world attention and want to try a linux distro, but you do not know what to start, and where to start, here I will offer a little help. Burn CD, DVD and Blu-Ray in Ubuntu Linux using Silicon EmpireSilicon Empire is an application for GNU / Linux that lets you record and manage optical discs such as CD, DVD and Blu-Ray. It is written in Qt, a widely used multi-platform library for developing applications with graphical user interface as well as for developing non-GUI programs as tools for the command line and console server. Silicon Empire uses cdrtools and gives us the ability to copy or burn a data disc images, erase or mount DVDs. For the time being to create an audio CD, though (curiously) comes with a player music ( MiniTuner ) and even a picture viewer, these (as well as the characteristics of CD / DVD) are called "Sapplications" which are basically plug-ins, so you could get more of these in the future. 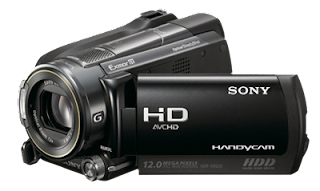 Show all information about disks and optical drives before starting to record / copy / delete. If possible remove the older version first. 1. 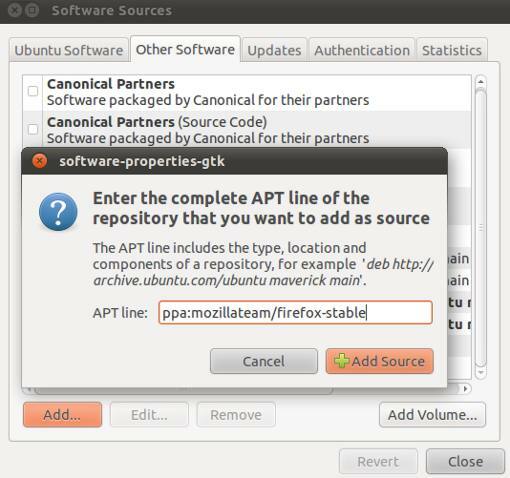 Open Synaptic Package Manager and add the Firefox PPA to the Software Resources. 3. Now Click on Reload button to update the Software Repository. QT is produced by Nokia's Qt Development Frameworks division,. Nokia's Qt team has unveiled a new initiative - namely to build awareness about Qt - Qt is a cross-platform application and UI framework - among students and Teachers. This Qt Course Material has around 10 lectures that cover the basics of Qt in addition to some special topics. It includes s PowerPoint slides, notes, exercises etc which will make their job a lot easier in teaching Qt to their students. You can download all the lectures together in one file (45 MB download) or download individual lectures. Wkhtmltopdf is a command line utility for converting webpage / html to PDF. VirtualBreadboard is a simulation and development environment for embedded applications that use microcontrollers. It is easy to use and can replace a protoboard for experimenting with new designs.It is a freeware. 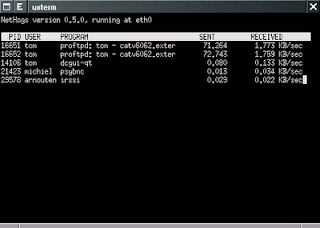 NetHogs is a lightweight Linux text-based tool that monitors bandwidth usage, then groups it by process, Network administrators can can see which PIDs are using the most bandwidth, and if necessary, you can kill the process. Grub Customizer is a graphical interface to configure the grub2. 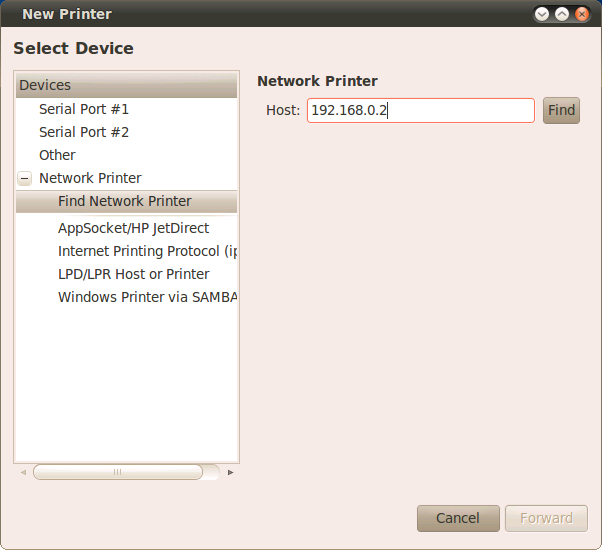 The application allows the user to add, remove, freeze, rename and reorder boot menu items. 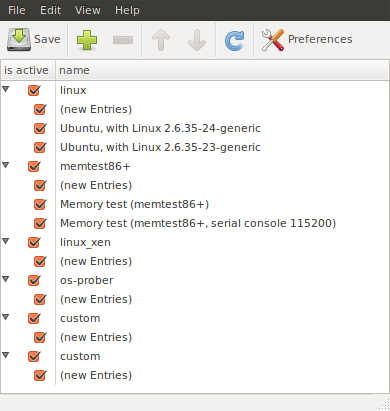 Grub Customizer 2.0 contains an user interface to edit the /etc/default/grub-Settings. It a;so help you to select the default entry, change the visibility of the menu, timeout, kernel parameters, disable recovery entries, change screen resolution, (GFX_MODE), Menu colors (grub2 only), background image (grub2 only). You can avoid the painful experience of command line based Grub Editing. Linux mint is a good flavor of linux operating system based on ubuntu. See how to install linuxmint main menu in ubuntu. Add the following PPA in software source. 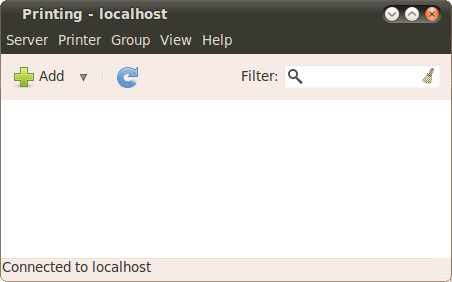 I you want to auto start a program (or script) in ubuntu Linux at bootup by creating a symbolic link to that program (or script) in the ~/.config/autostart folder. 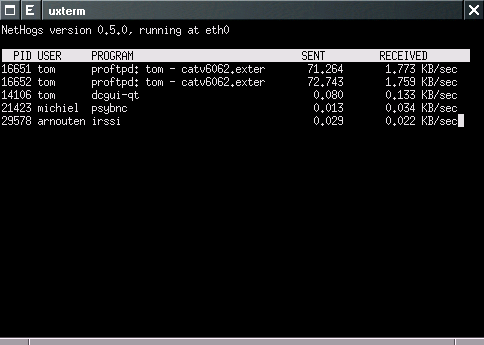 Linux Terminal Server Project (LTSP) is a free and open source software for Linux that allows many people to simultaneously use the same computer. Applications run on the server with a terminal known as a thin client (also known as an X terminal) handling input and output. Generally, terminals are low-powered, lack a hard disk and are quieter than desktop computers because they do not have any moving parts. In case of the newer MueKow (LTSP 5) setup, the client first builds an SSH tunnel to the LTSP server's X environment, through which it will start the LDM login manager (on the LTSP server). 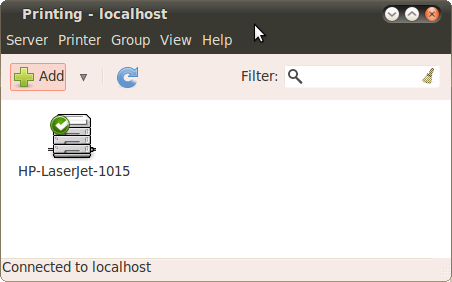 From this point forward, all programs are started on the LTSP server, but displayed and operated from the client. 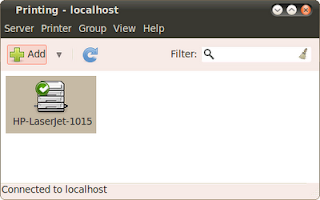 See How to install LTSP in Ubuntu with few simple steps. Now Your LTSP Server is ready. Set PXE boot in client system ( This means you have to select Network card as your Boot Device). * Run command "sudo ltsp-update-sshkeys"